The April 2015 print, again a photograph from New Zealand, is much belated, but better late than never. This photograph is a good example to illustrate the value of printing. Not only did I struggle to get the highlights, shadows and colors right (to my linking), but I also discovered an annoying chromatic aberration along the mountain ridge. To my shame, I have not ben aware of this problem before; probably because I look more consciously at a print than at a photograph on the screen and because I am not a pixel peeper. Before the final print, I prepare small test prints to get an overall impression and to look for major shortcomings and defects. After several rounds of adjustments I prepare a print in the final size (roughly 19 cm high, which fits on an A4 paper) and sometimes I have to return correcting and adjusting; such as in this case. Unfortunately, in this particular case the printing has actually lowered my appreciation of a photograph (and of the particular camera-lens combination). In many ways - artistic ones - I do not rate this photograph very highly. It is "just" a nice landscape documentary. 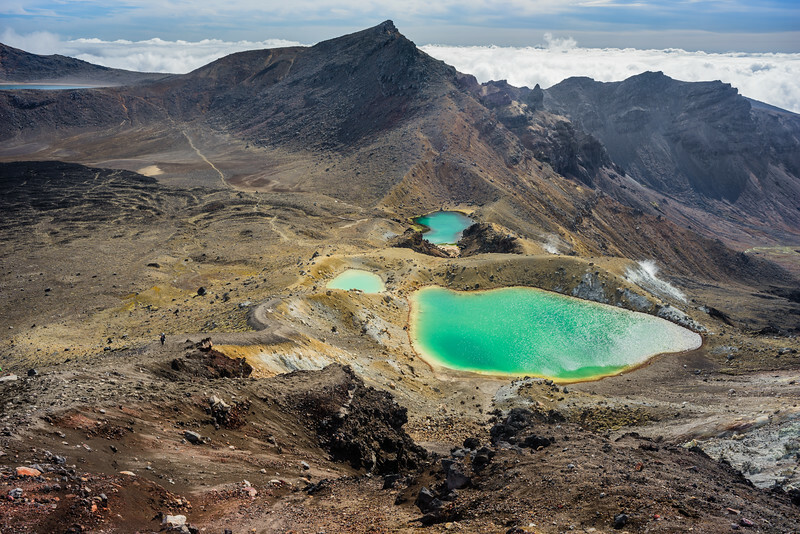 However, for us it is a souvenir, from our amazing hike in Tongariro National Park, that brings back precious memories, which is the main purpose of many photographs.